THOUGHTSKOTO Thoughtskoto : Medical Scholarship Bill, Approved by Congress! Here's What You Need to Know! Medical Scholarship Bill, Approved by Congress! Here's What You Need to Know! 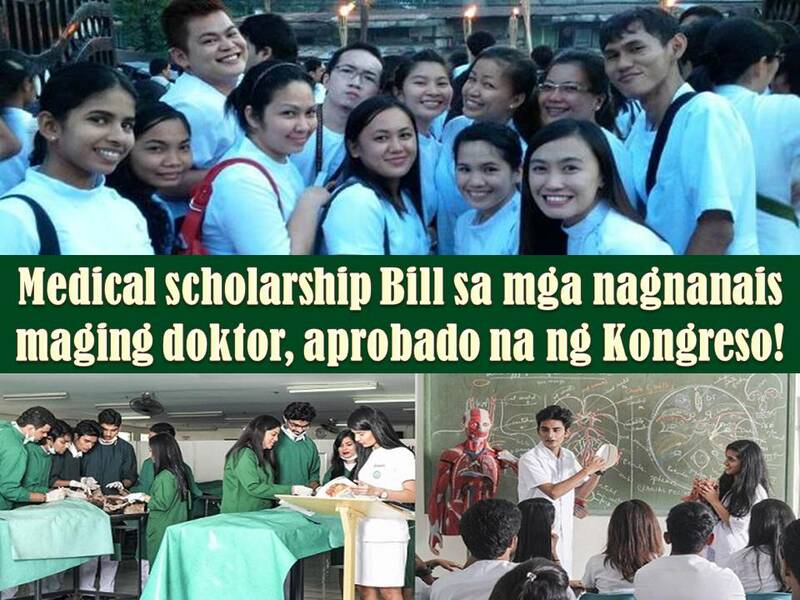 Last November 20, the House of Representatives unanimously approved on third and final reading a bill that mandates a medical scholarship program. The measure main goal is to address the shortage of doctors in the Philippines. House Bill 6571 or the Medical Scholarship and Return Service Program Act passed in the Congress with 223 affirmative votes. No negative votes nor abstentions. 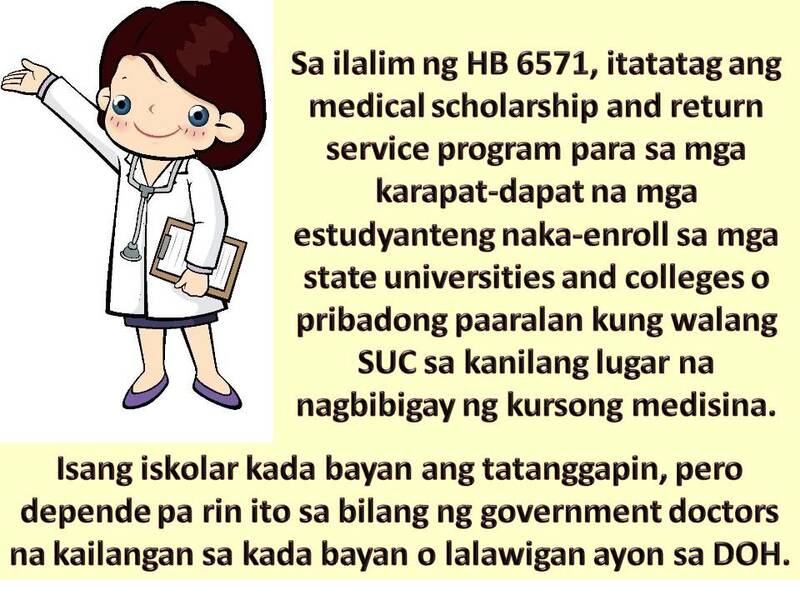 Under House Bill 6571 a medical scholarship and return service program will be established for deserving students enrolled in state universities and colleges (SUCs) or in private higher education institution (PHEi) in regions where no SUC offers medicine. At least one scholar from each municipality will be accepted in the program, but this is still dependent on the number of government doctors needed for each province or municipality as determined by the Department of Health (DOH). The following benefits will be enjoyed by the scholars of the program. 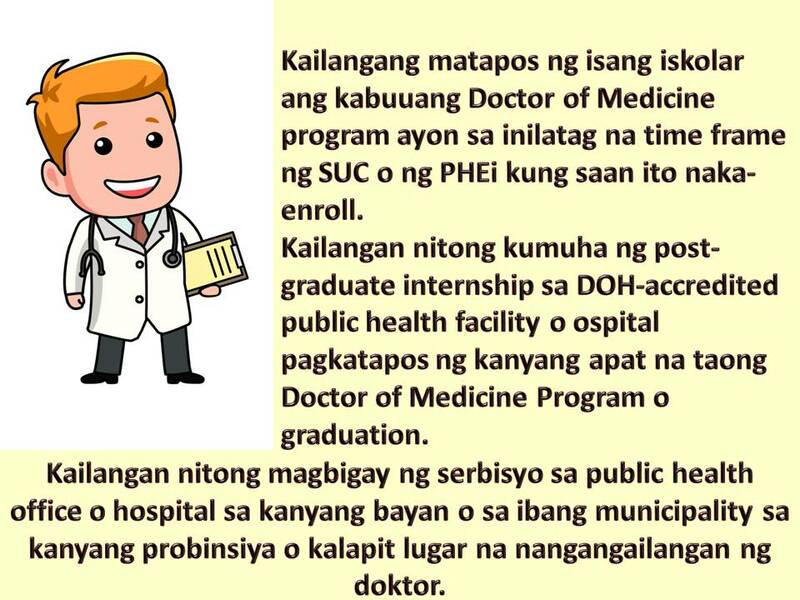 He/she should serve in a government public health office or government hospital in the scholar’s hometown or in the absence of a need, in any municipality within the scholar’s home province or in any underserved municipality closest to the scholar’s hometown or province determined by the DOH as a priority area, for at least eight years, or two years for every scholarship year availed of. Return service must be completed within 10 years upon completion of internship for those who have availed of a four-year program, and 12 years for those who have availed of a five-year program, upon passing the licensure examination for physicians, which will be part of the mandatory return service and integration into the public health and medical service system. 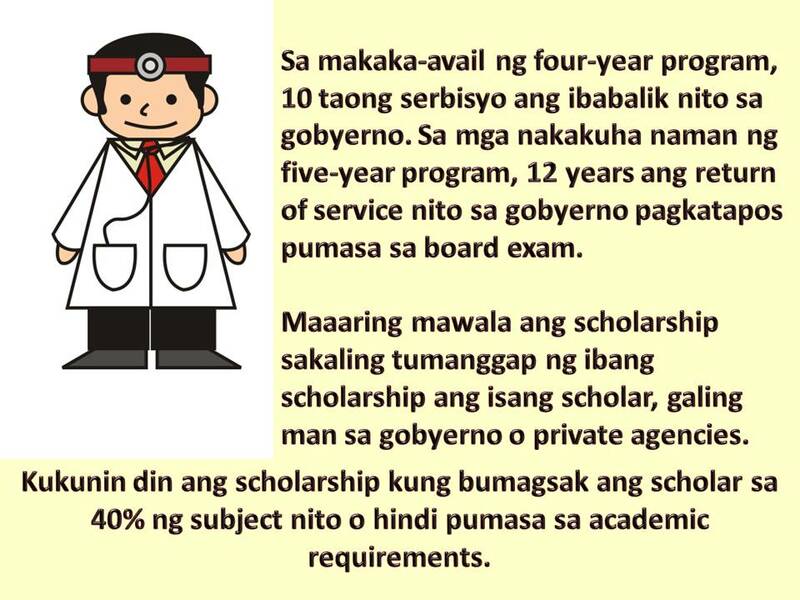 Grantees of the program may lose their scholarship and pay its full scholarship if he/she accepts another scholarship from other government or private agencies or entities, fails 40 percent of the subjects or fails to meet the academic requirements, fails to pass the licensure examination for physicians for the second time, and commits behavioral conduct that would bring significant damage to the HEI, government institution concerned, persons, and community. If the scholar, upon becoming a physician, fails or refuses to serve the conditions provided in the program, he/she will be required to pay twice the full cost of the scholarship including other benefits and expenses incurred in the scholarship program. We all know that there is a shortage of doctors in the Philippines because many choose to work abroad due to higher salary compared to what they get in working in the Philippines, especially in the government service.